New features are always good to have in JDeveloper - but missing new features, this is something really new :-) It looks like documentation is released faster than actual functionality. If you read What's New in This Guide in Release 11.1.2.2.0 document, it provides new documentation section about how to setup security for ADF Methods (see Chapter 35). There are nice step by step instructions available in Chapter 35, how to enable security for ADF Methods. 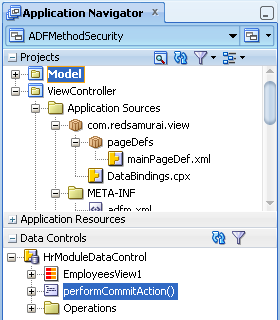 This guide says you need to have command component to execute ADF Method, also ADF Security must be enabled. Finally documentation says - "The Resource Grants page of the overview editor displays all methods that your application defines.". Well, may be I'm missing some magic check-box, but methods are not listed in the overview editor. I will be really happy, if its just me - and there is hidden check-box that enables this functionality. 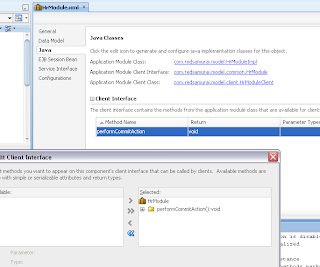 Download test case application - ADFMethodSecurity.zip. This is really powerful and required feature, sadly its missing - I hope it will be available with next release of JDev. 1) "ADF Security does not perform permission checking for ADF methods; you must enable permission checking in your application. Based on a resource permission you have granted to the user for the ADF method, the user interface will either enable or disable the command component." 3) "You use the Expression Builder dialog that you display for the UI component display property to define an EL expression that checks the user's access rights to the method. 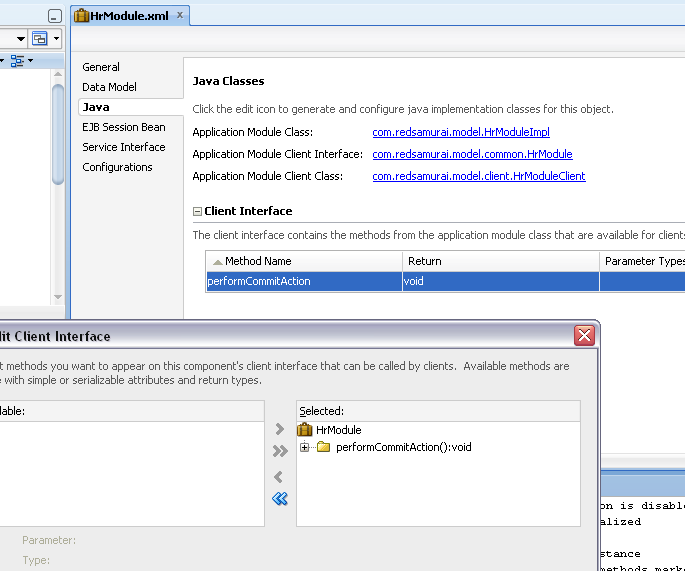 When you run the application, the component will appear either enabled or disabled based on the outcome of the EL expression ADF method permission check." The problem is that "ADF Method" neglects the fact that it is a resource permission. When the doc author talks about selecting an ADF method then he doesn't mean to select a method in a PageDef file but a Resource Permission defined as an ADF Method (confusing, I know).